The rays are stencilled using Prima/Finnabair golden cracle paste. I was not patient enough to let the paint air dry, so the cracles are only partially visible. However, the golden shimmer of the paint looks still very nice, and I was very pleased how well the paste worked with the stencil. 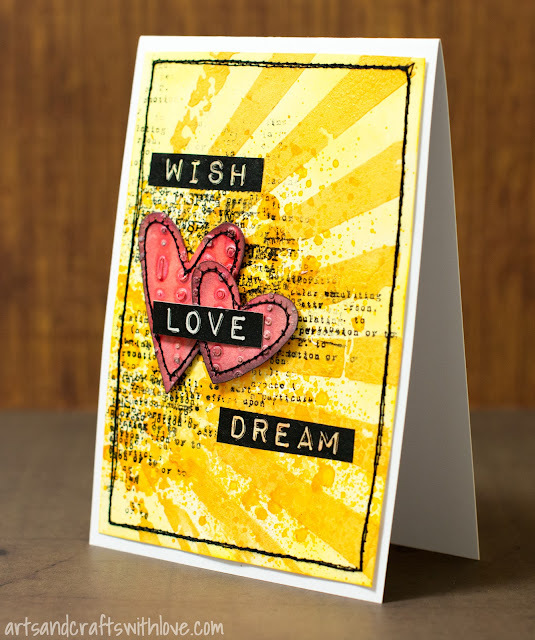 I inked the white background with light yellow inks, and added darker yellow splashes with yellow Prima mist. 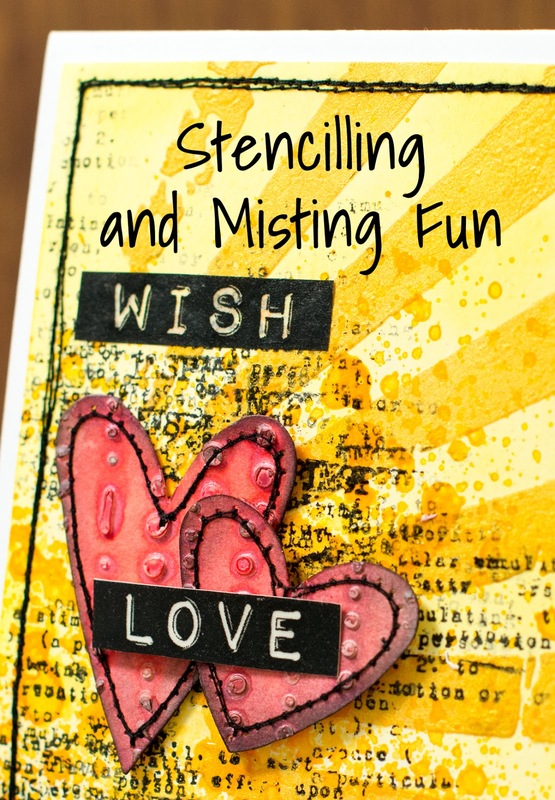 Once the mist was dry I stamped text patterns with black Archival ink. 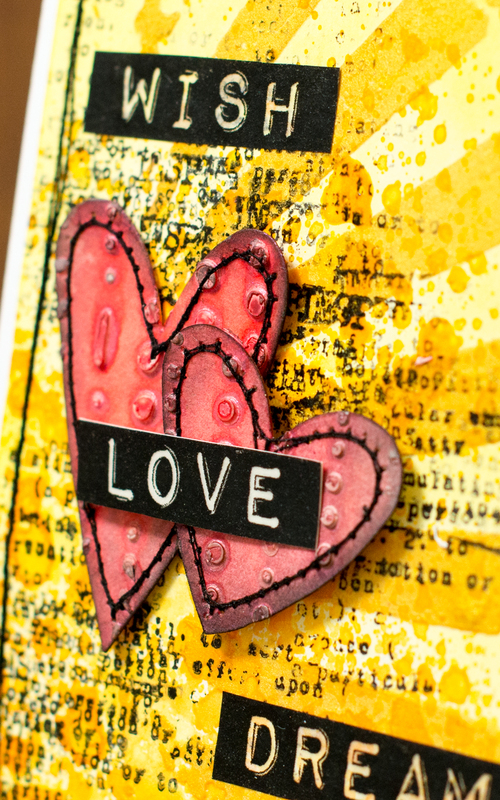 The two hearts are die-cut using Tim Holtz / Sizzix Movers&Shapers heart dies, and decorated with stencilled dots I made using white texture paste. I misted the hearts with two shades of red mists, and decorated them with sewing around the edges with a straight stitch. For lifting the hearts from the background I used little pieces of foam tape. With this card I wish you a day filled with sunshine. 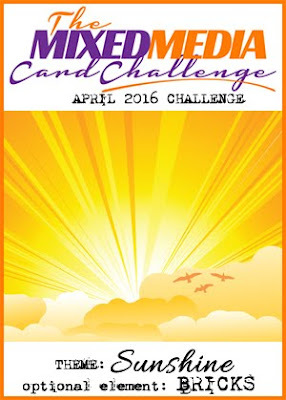 Maybe the rays will inspire you to play along our April challenge! 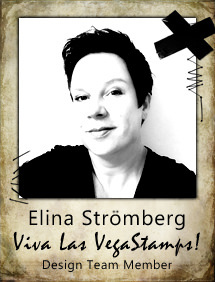 This is beautiful, Elina! 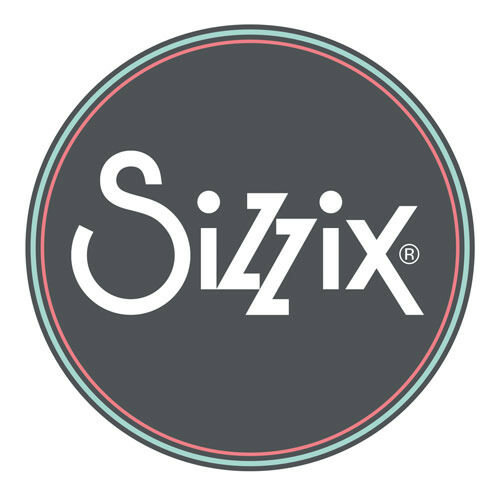 I love all the stitching! 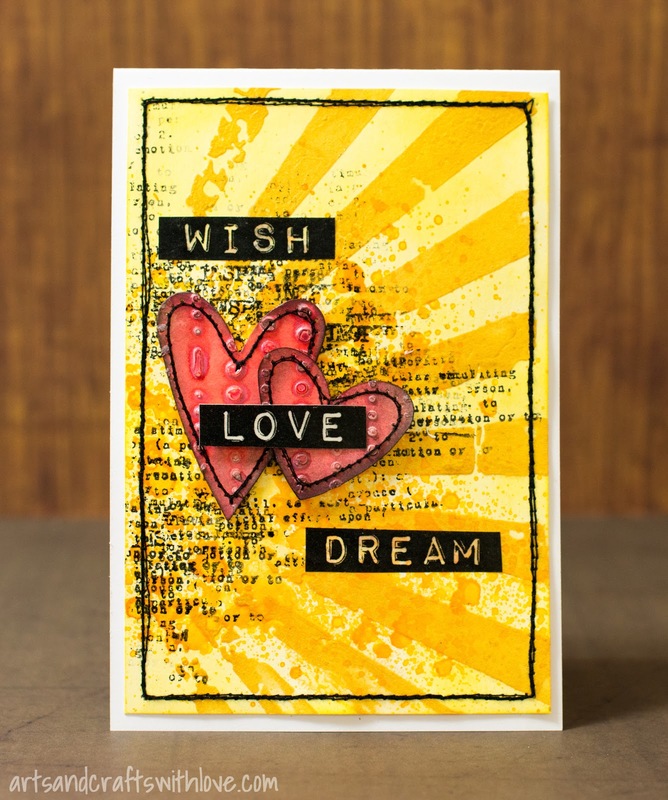 I love all the stamping you did behind the hearts eminating out from the sun to the rays - the red accents are great with the mostly yellow design! Very nice card & challenge theme! Stunning! I love the stitching and stamping - fab contrast! 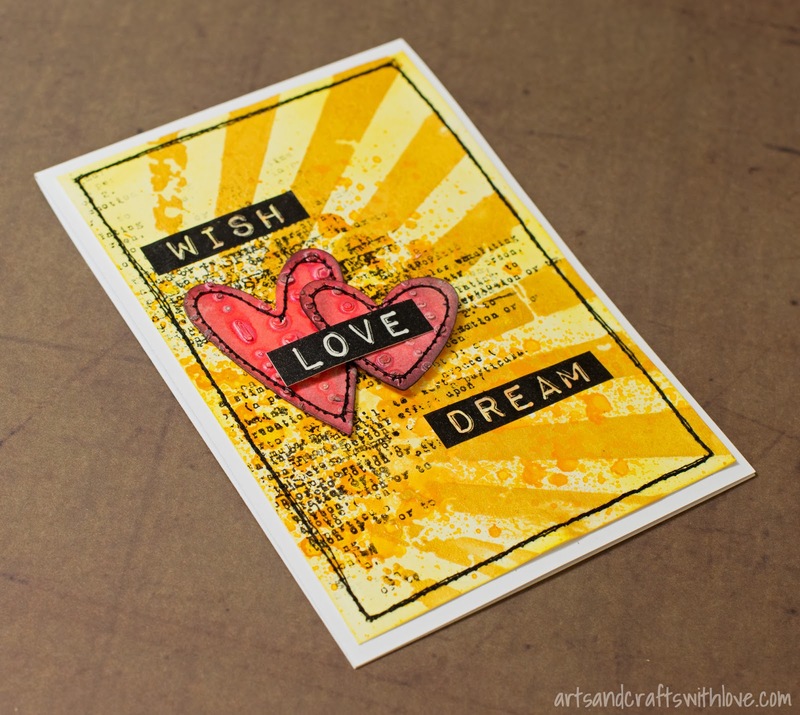 Mixed media perfection and your color choices are spot on! 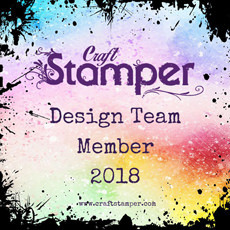 Can I ask you what stamp that text pattern is please?